My brother has skills. 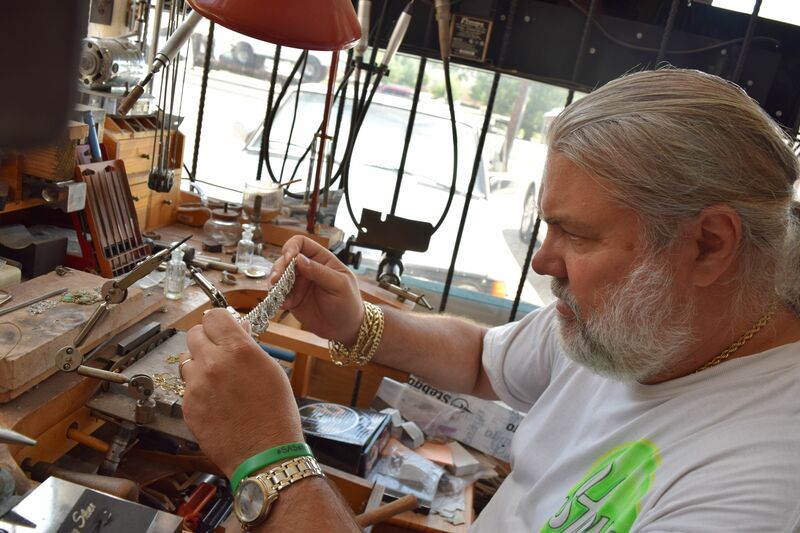 Among his many talents, he can repair and make jewelry. 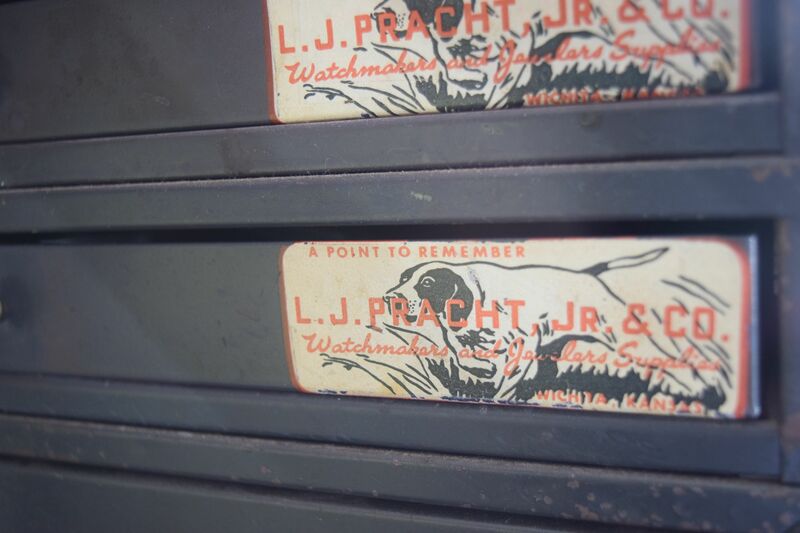 I went to his shop recently and took a few photos while he worked. 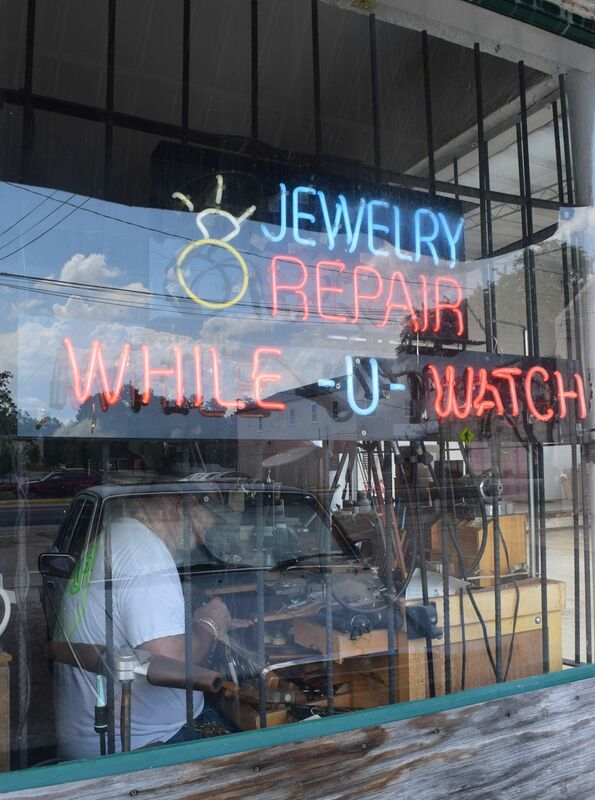 He advertises while you watch jewelry repair so I took it literally and photographed him on the job. Hmmmm There’s something adolescently satisfying about seeing your brother caged. 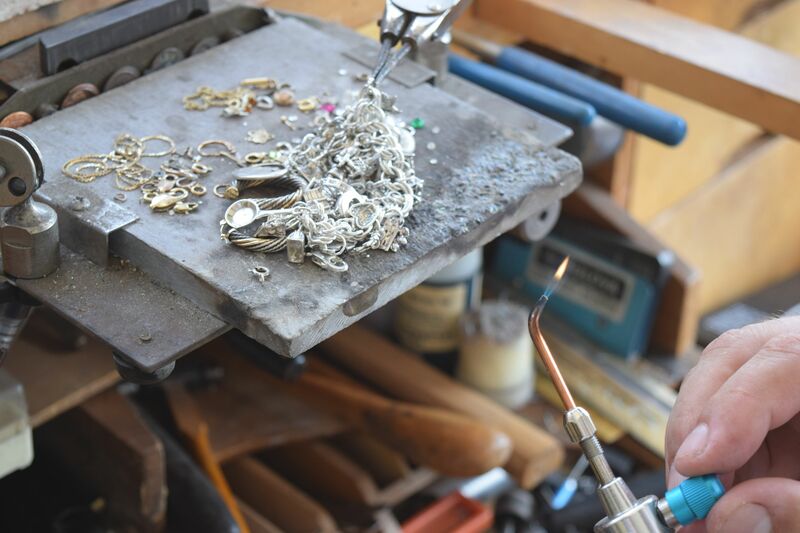 Today Steve was repairing a pair of earrings and soldering a charm to a charm bracelet. He has the most eclectic and interesting work area of any I’ve seen. 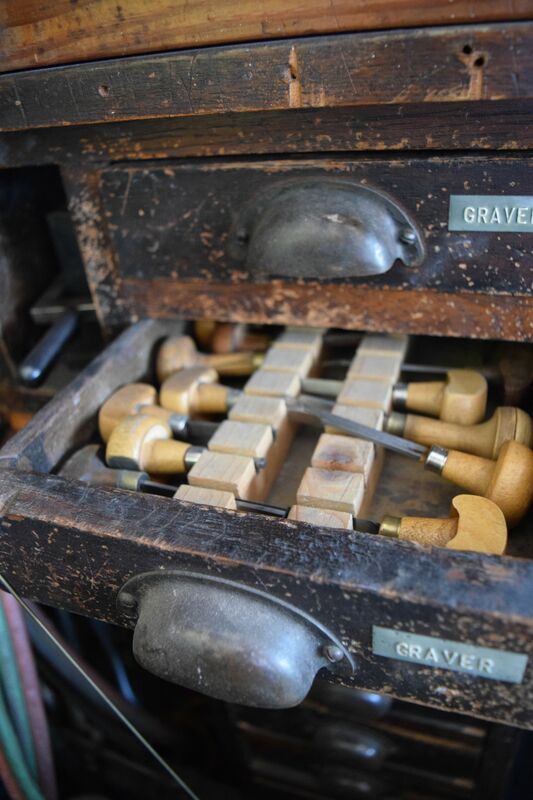 There are gravers – didn’t know that those were the tools used to engrave. Never really gave it much thought prior to seeing the draw full of gravers. 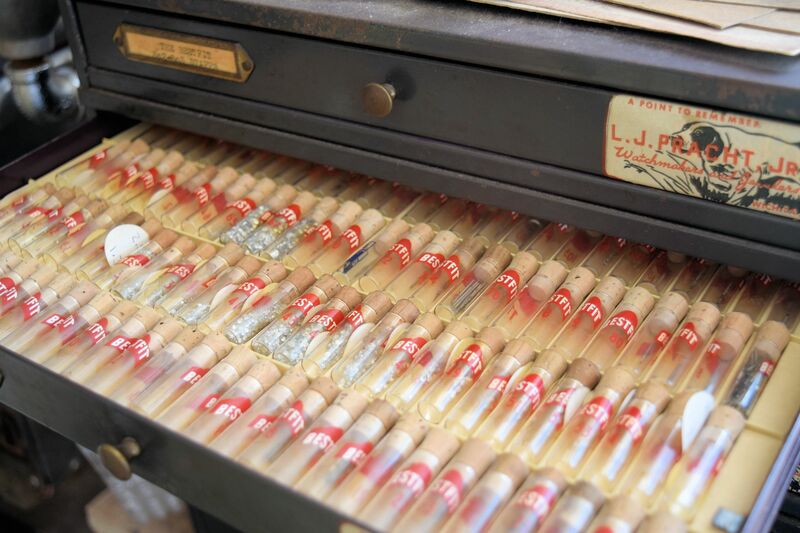 He also has draws of vials of tiny stones and other jewelry goodies. 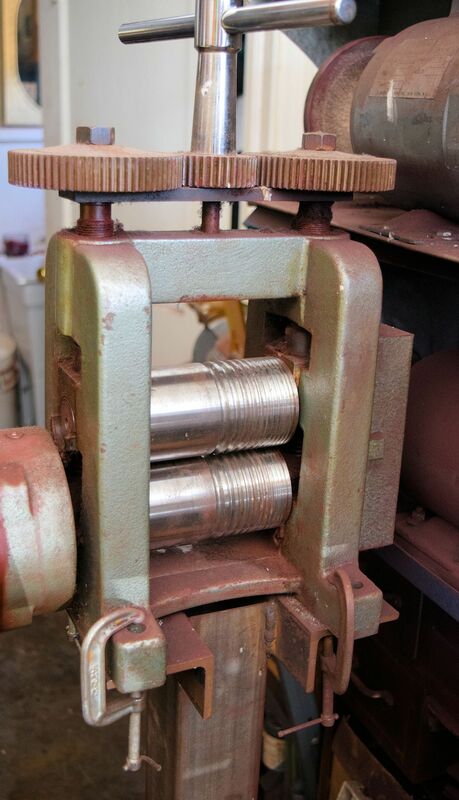 This machine extrudes metal to make it thinner. Somewhat like a pasta machine. 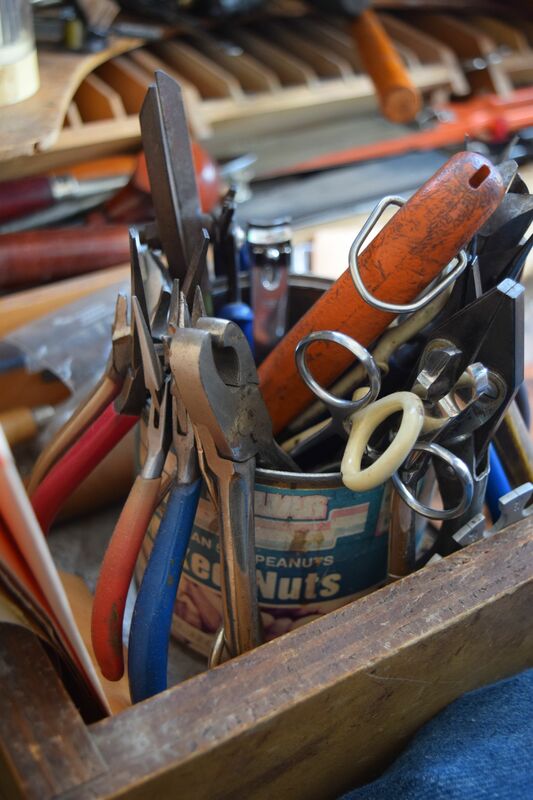 My favorite is the pliers can. He has a tool for every job. Thanks, Steve for putting my charm bracelet together for me. You are appreciated! Madison, GA. 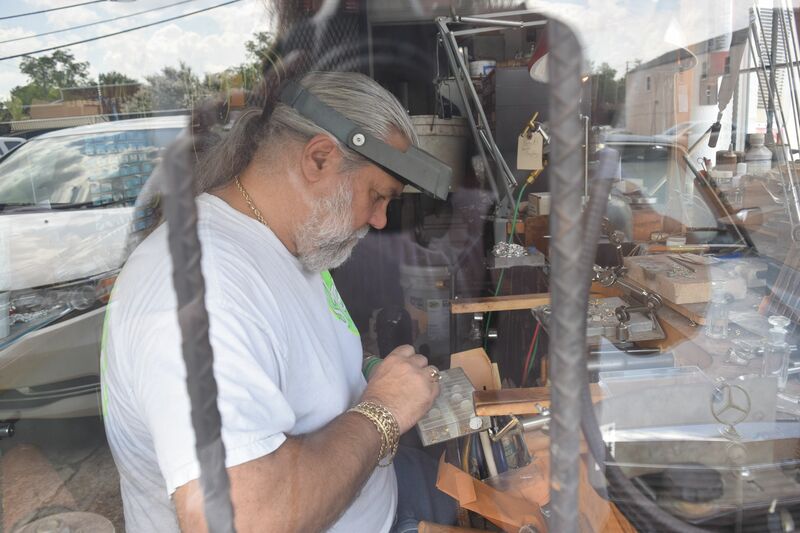 I make jewelry repair runs or trips to get my charms soldered on or I give him my jewelry when he comes to visit and then get it on the next visit if I’m in no hurry. Your blogs just keep getting better and better. Love this one of Steve in his workshop. Thanks. It was fun watching Steve in action. 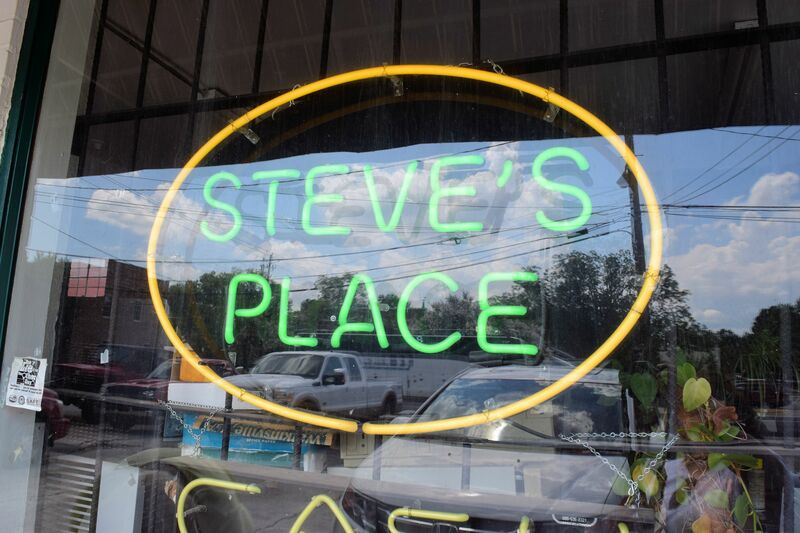 Love seeing the pictures of Steve at work! I recognize those earrings and charm bracelet. He does do great work! I will pass on the compliment.